Face to face consultation in a relaxed and professional environment. Experienced local GPs, Australian trained and vocationally registered. General practice conditions to mini-emergencies, including acute medical, sports injuries, fractures and lacerations. Located in SJG Subiaco Hospital, we have access to a wide range of on-site Imaging and Pathology services. GP After Hours Subiaco has offered medical care to the Perth community for almost two decades. 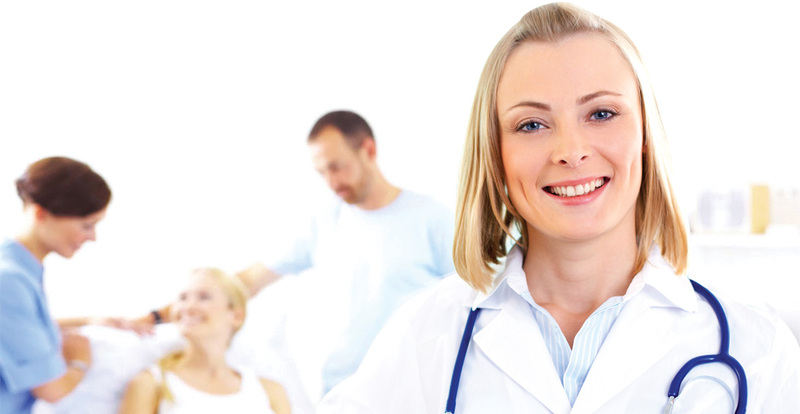 Our after-hours doctors continue to provide quality medical care when you need it most. Online bookings 24/7 and extended reception hours (including during normal business hours) provides you with the flexibility to choose a convenient appointment time and prompt attention, meaning no more long waits at emergency medical departments. At GP After Hours Subiaco, located within SJG Subiaco Hospital, you will be treated by vocationally registered and Australian-trained GPs with immediate access to hospital imaging, pathology and specialist women’s health services. Our acute injury management and allied health support, including sports medicine and physiotherapy provided by our affiliate team at SportsMed Subiaco, will ensure you receive the best possible care when you need it most. Now you can book online 24/7 or call during normal business hours to choose an available appointment time and avoid lengthy waits. We look after acute physical and sports injuries including fractures, joint sprains, muscle strains, contusions, lacerations and mini-emergencies. GP After Hours Subiaco has access to on-site radiology services. Imaging and pathology results will be faxed directly to your regular GP. All consultation notes faxed to your regular GP. After hours pathology send-off & access to hospital admission if required. This is a private medical clinic. Payment is required on the day of service. Bring your Medicare Card to claim your Medicare rebate. Clinic FAQs Can I organise an appointment online? Yes. Appointments can be made online via the ‘book an appointment’ button on this website. We also accept telephone bookings which can be made during normal reception times ( Mon – Friday 7am – 10pm, Saturday 8am – 6pm and Sunday 9am – 6pm ). Walk-ins are welcome. Please be aware, under emergency situations, patients may be triaged effecting waiting times. Your understanding is appreciated. Yes. For your convenience we provide EFTPOS, Visa and Mastercard facilities. Medicare rebates usually only provide a partial rebate of the fee charged. Please bring your Medicare card/details to your appointment to claim your Medicare rebate at the time of service. Yes. Please phone the clinic if you wish to cancel or change your appointment. A cancellation fee applies if you fail to notify reception of the cancellation prior to your appointment time. Do you conduct Health Care Plans at GP After Hours Subiaco? No. All Health Care Plans, including Mental Health Care Plans and Health Assessments, are completed by your regular GP, please consult with your GP for all Health Care Plans. No. A referral is not necessary. We accept all pre-booked appointments and walk-ins are welcome. Yes, metered parking is available on site. Please bring change for parking machines and allow 5 minutes prior to your appointment time to obtain parking and locate the clinic. WE ARE NOT AN EMERGENCY DEPARTMENT. If you are experiencing chest pains, excessive bleeding or severe breathing difficulties PLEASE DIAL 000 FOR AN AMBULANCE.